On Thursday, a new show about the Assyrians opens at the British Museum – 'I am Ashurbanipal, King of the World, King of Assyria'. Ashurbanipal ruled the vast kingdom of Assyria from 668 to 627 BC, from his enchanting palace at Nineveh, now Mosul in Iraq. Many of the sculptures in the show come from the British Museum itself but the show puts them in a fine setting, and explains extremely well the story of the Assyrians. 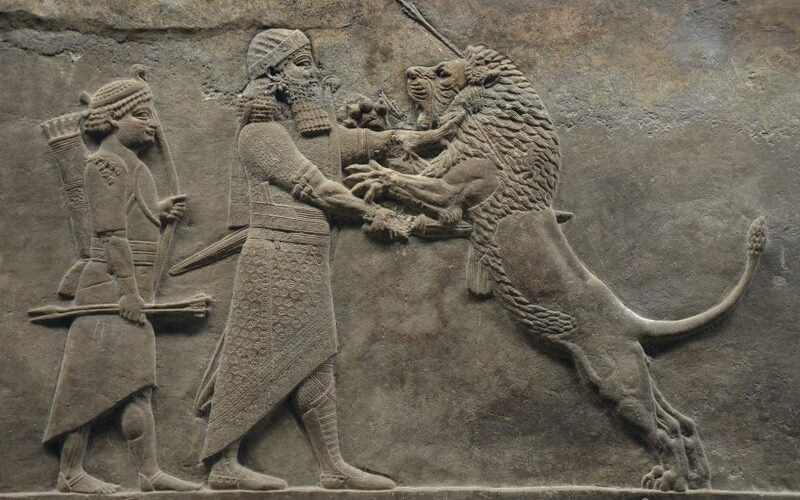 The sculptures – like this one, the Lion Hunt of Ashurbanipal – are really quite exceptional. They aren't as sophisticated as the Elgin Marbles, which are next door to the Assyrian section in the British Museum - but, then again, the Parthenon was built more than two centuries later. Compared to archaic Greek sculpture from the 7th century BC, the Assyrian work is leaps and bound ahead. With very thin relief, there's a really vivid, three-dimensional sense of movement and emotion. Nineveh was lost for centuries until it was rediscovered in 1847 by the British archaeologist Austen Henry Layard, who promptly carted the sculptures back to the British Museum. Today, most of them are as crisp as the day they were sculpted – well worth a visit.